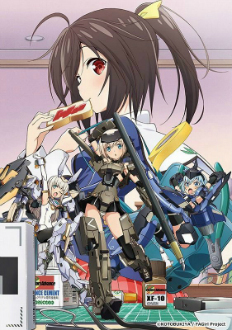 The official website for previously announced Frame Arms Girl anime adaptation has announced staff and main cast members alonside the first preview. The TV anime is slated for Spring 2017. GBF for FAGs? Looks great. Hmmm... staff looks fine. (Had to correct this and I checked and confused, the mechanic design isn't bad tho). Edit: Saw the PV and I am rather skeptical about it. Tho I will probably give it a shot but I'm not too sure. The main girl looks adorable though. I will probably watch it when I have nothing else to watch but we'll see. Is this one of Busou Shinki's clone? Sure i'll give it a try.